Home Barcelona What Does the New Barca with Dembele & Coutinho Look Like? Last Saturday, February 24, gave us our first look at Barcelona with Ousmane Dembele and Philippe Coutinho in the lineup, and they lived up to the hype. After conceding a quick goal, Barcelona started to play at a blistering pace. Everything was quick from the usual one-touch passing, throw ins, to goal kicks every part of the game picked up in the 4th minute. Barcelona lined up in a 4-4-2, but that was not the main look of the team throughout the game. The new Barcelona lineup brought some interesting changes to the lineup that could take this team to even greater heights than already projected for the team. Positionally, the 4-4-2 looked more like a 4-2-3-1 once the ball was in play. The only thing that did not change was the usual back four of Umtiti and Pique playing as the centre halves, while Semedo and Alba took their same roles as more of wing-backs in the lineup. The midfield that lined up four across on the team sheet changed more to have Rakitic joining Busquets as more of a defensive midfielder, these two set the tone for the team as they control the tempo. Their styles were not different in this game except for the deeper starting position for Rakitic on every move forward. They were their usual selves with the ball at their feet, slowing down the play when needed, giving the attackers an outlet when they run into a roadblock, and they were the beginning of almost every attacking move. The other two midfielders on the team sheet were Dembele and Coutinho. The two big money transfers of the season did not disappoint in their first game together. They were more of wingers in the lineup playing higher up the pitch than expected from a normal outside midfielder. Dembele had the freedom on the right side to use his pace and creativity to occupy the right back of Girona while Semedo was overlapping and coming forward. Coutinho was out wide on the left which gave him the ability to cut in on his preferred right foot to use his vision to find Suarez and others making runs through the defense, and to put some of his beautiful curled shots onto goal. Lastly, we look at how the Suarez and Messi lined up. Suarez played as the lone striker up top, and was the pest that all Cules know and love. His never ending runs through the defense were exhausting to watch and were equally exhausting for the Girona defense throughout the game. Messi completely the attacking midfield 3 in the middle of the field. He did not have to change much of his game, except his starting position which was more central. He checked in deep to get the ball as usual and was his still the magician we have come to admire with the ball at his feet. The biggest thing that stuck out to me with the new transfers finally playing together was the fluidity of the attacking four. Messi, Suarez, Dembele, and Coutinho meshed seamlessly against Girona. 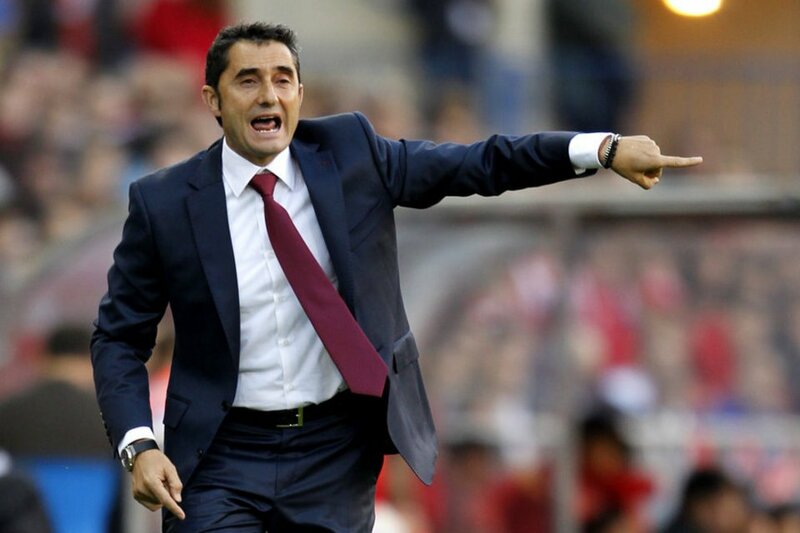 While Girona has had an impressive first season in the first division, Barcelona were able to break down their defense very often once they got started. You saw Coutinho and Messi switch positional roles with overlapping runs and short drop off passes. Each player was able to make seeking runs past the defense with another player sliding into their position without thinking. This will be a problem for defenses going forward for defenses as it is confusing to communicate changes so often and pass along your marker so often. The attackers had a great chemistry right off the bat, but that needs to come together with the whole unit for this team to continue their ongoing success. This is the new look barca that we will see for most of the league games that will be played. Coutinho will likely get a majority of the league starts as the aging Andres Iniesta will likely get more rest for the Champions League knockout rounds, Coutinho is cap tied to Liverpool in that competition, and with Deulofeu going on loan to Watford. Coutinho needs to build a playing relationship with Alba that will come with time. The place that has the most room for improvement is the duo on the right side of Semedo and Dembele. Semedo loves to get forward and overlap the winger, but Dembele has the pace that you want to be higher up the field to press the opposing back line. If those two can learn to play off of each other then this Barca team could replicate the dominance that the Catalans achieved in 2008-09.